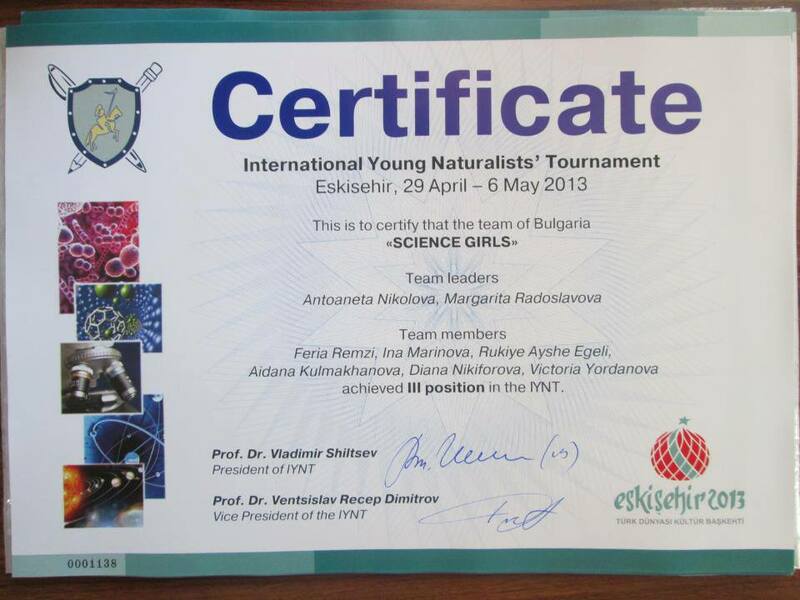 The inaugural 1st International Young Naturalists' Tournament took place on April 29—May 6, 2013 on the campus of Eskişehir Osmangazi University, Turkey. 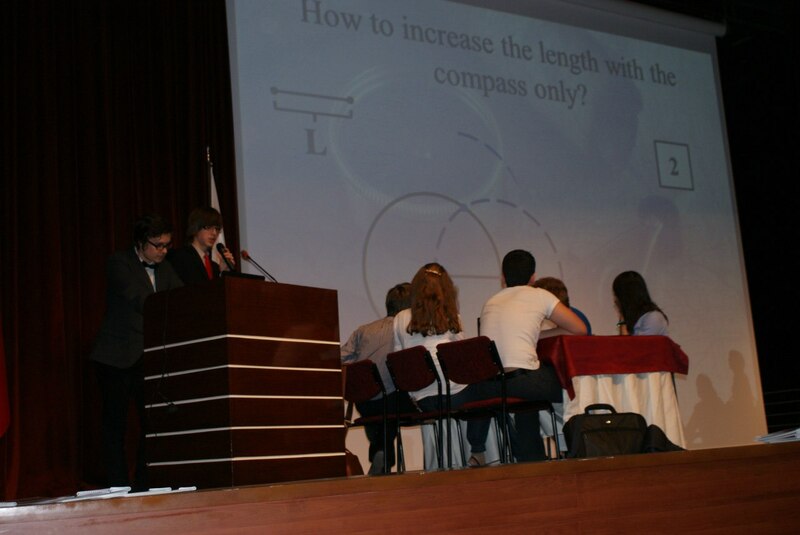 The competition attracted 16 teams of 11 countries and prominent guests of honor, including Turkish Education Minister Nabi Avcı. 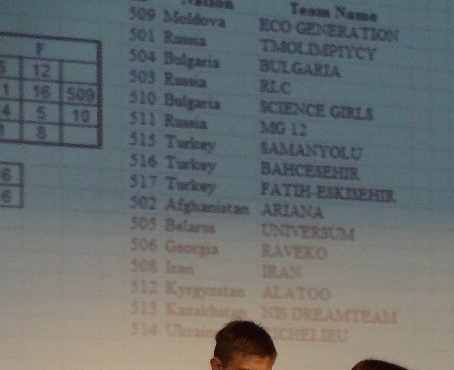 The gold winner of the 1st IYNT was the team Belarus-Universum. 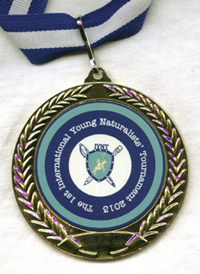 The local webpage of the IYNT 2013 was iynt2013.com. 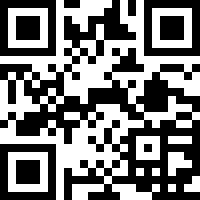 It is preserved at the Internet Archive: mirror of May 3, 2013 and mirror of June 24, 2013. 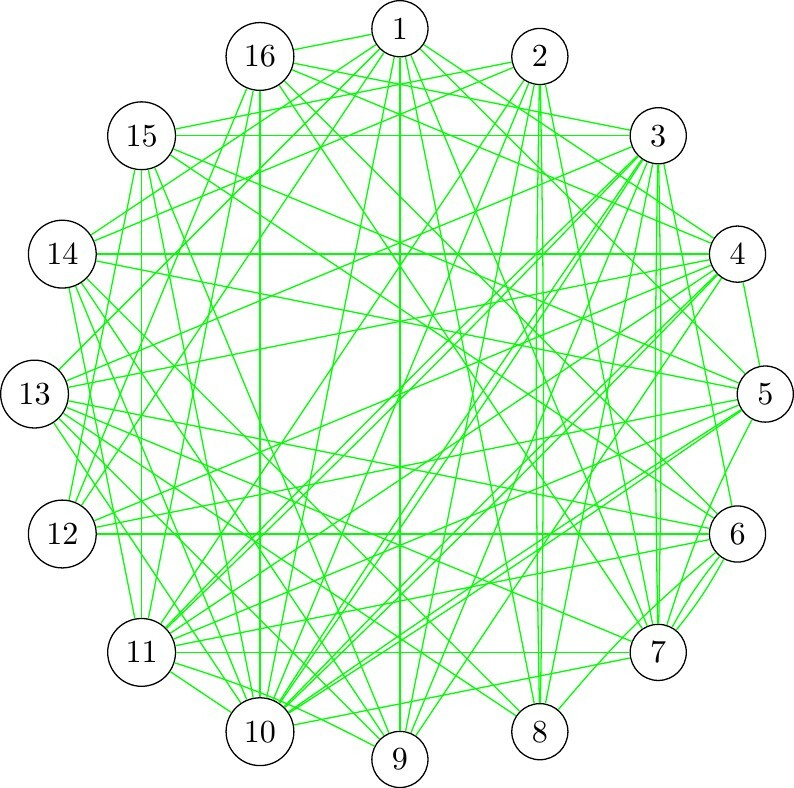 The criterion V was not yet introduced in 2013, and the key parameters defining the placing of Teams were TSP and SP (in Semi-Finals and Finals.) 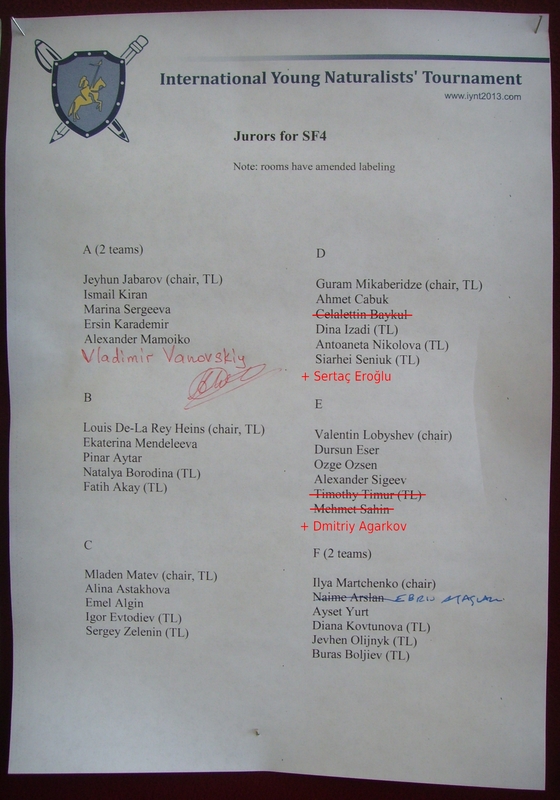 Penalties were applied only for irregularities NP (only in case Team Members would move on to take stage as Reporter in the SF where they already acted as Opponents or Reviewers) and NR (excluding Semi-Finals), and reduced only Reporter's Average Point P. Rejected challenges were counted separately for SFs with main problems (SF 1 and SF 3; a total of 2 rejections not incurring a penalty) and SFs with additional problems (SF 2 and SF 4; a total of 2 rejections not incurring a penalty.) 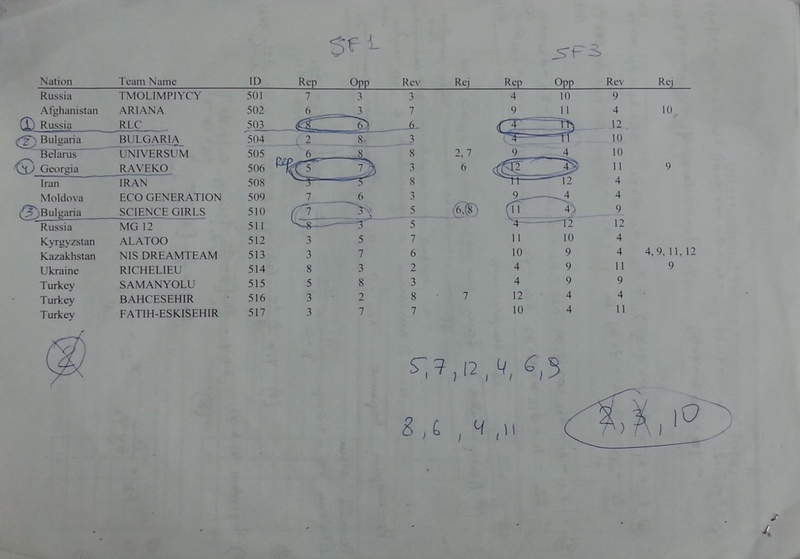 Different subsets of problems were available for SF 1 (Nos. 2—3, 5—8) and SF 3 (Nos. 4, 9—12.) Problem Invent Yourself (No. 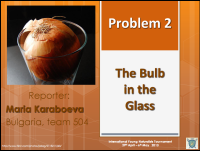 1) was suggested only for an unofficial contest of problem statements. The brackets for SF 4 were fixed by lot, however the sequence of performances was determined by TSP after SF 3, from top to bottom (Ch. VII, 3.) 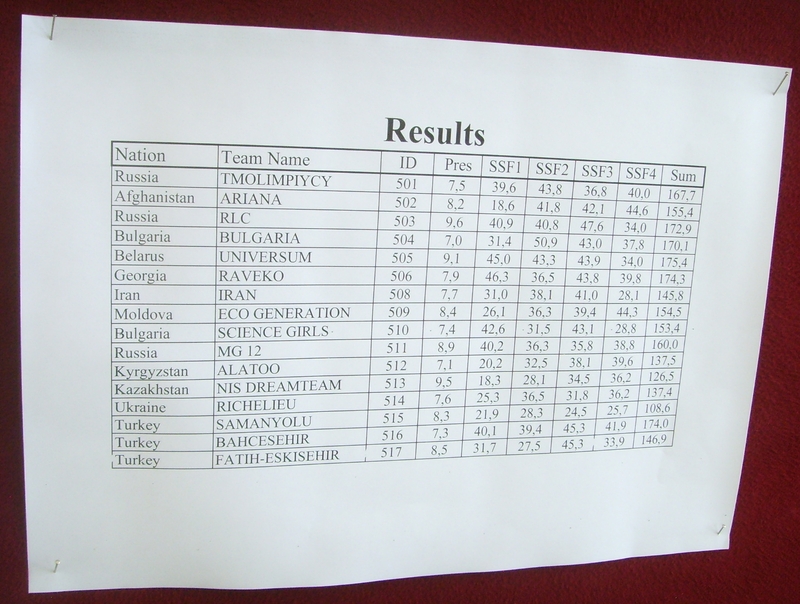 Ten Teams with the highest TSP after SF 4 were allowed to the Semi-Finals in three parallel Groups and secured their Bronze Medals. There was an ad hoc amendment to the Semi-Final bracket (cf. Ch. XIV, 2 and Ch. VII, 3) caused by a registration irregularity of one Team. 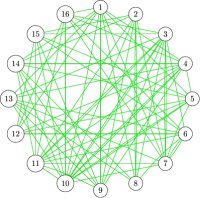 The placings of two Teams with an equal rounded TSP and not qualifying for Semi-Finals were resolved by comparing their TSP rounded to 0.1. 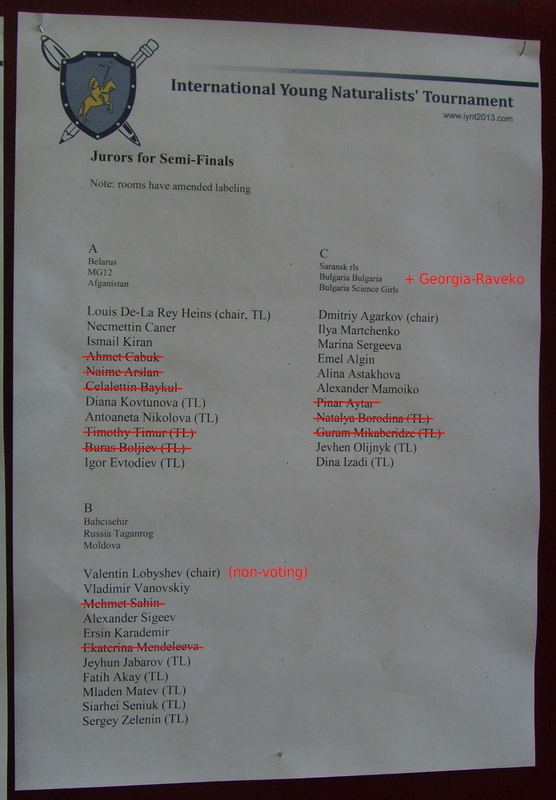 There was a challenge procedure in the Semi-Finals (Ch. XI, 2) and only main problems (Nos. 2—12) were available for Semi-Finals. Finalists were three winners (by SP) of each Semi-Final Group and no more than exactly one Team with a TSP after Semi-Finals higher than the TSP of at least one Group winner (Ch. XV, 1—2.) The order of performances in the Finals matched the order by rounded TSP after Semi-Finals and SP in the Semi-Finals, from top to bottom (cf. Ch. XV, 3.) Priority in the choice of problems for Finals was by the order of performances (Ch. XV, 4), and it was not forbidden to pick up a previously reported problem, only from the set of main problems (Nos. 2—12), which one Team did. 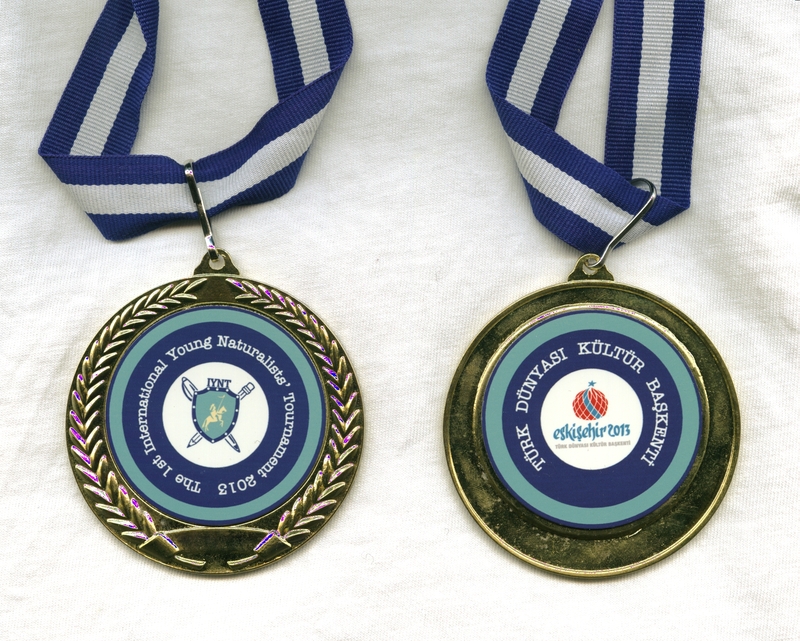 Finalists have secured their Silver Medals (Ch. 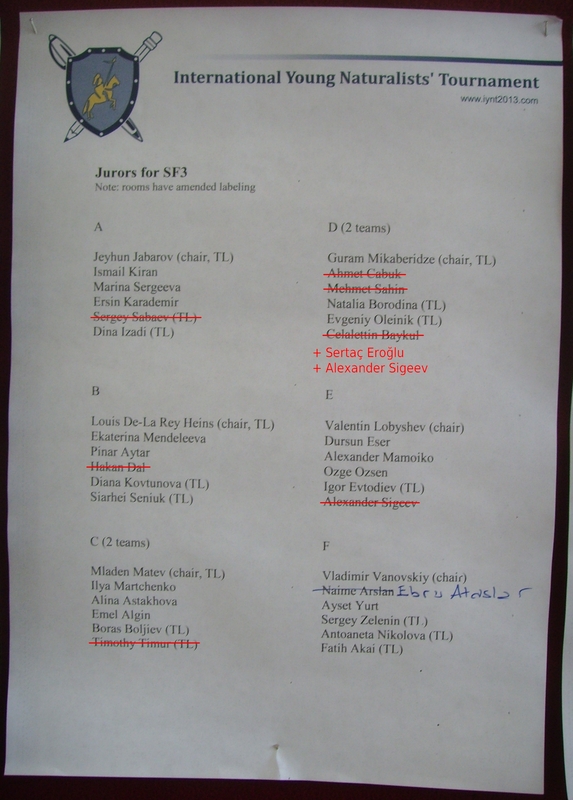 XVI, 2.) One Team with the highest SP in the Finals earned Gold Medals (Ch. XVI, 1.) 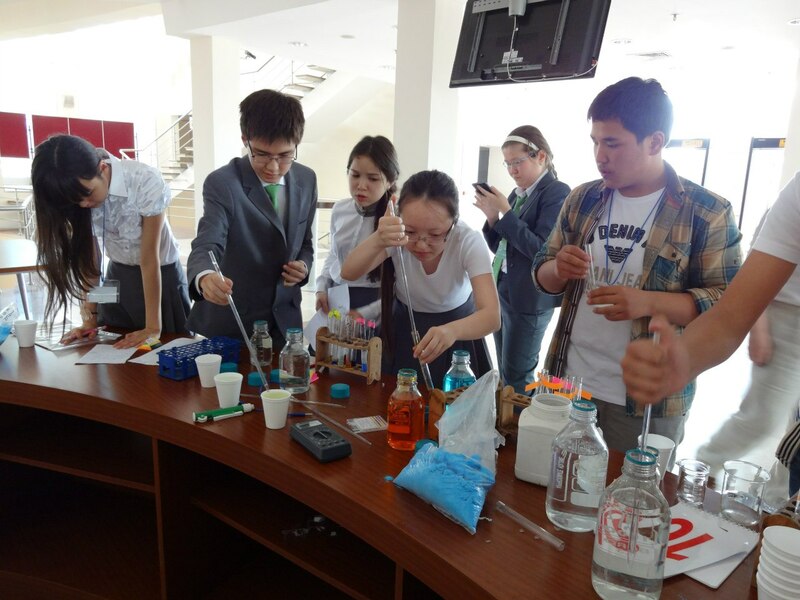 This Table summarizes only the decisive grading parameters, and the detailed results of the competition can be found in the ranking table and in the protocols of Science Fights. 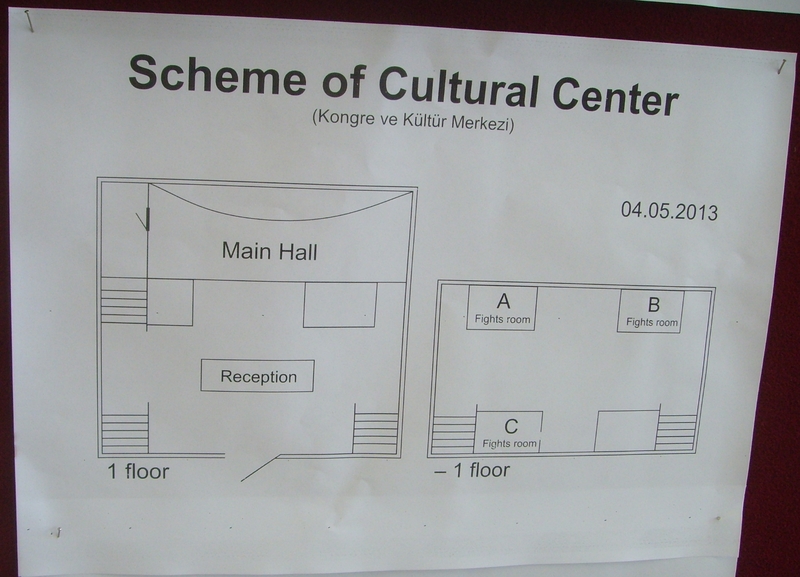 Local independent jurors: Emel Alğin (chair), Celalettin Baykul (chair), Ersin Karademir (chair), Naime Arslan, Ebru Ataşlar, Pınar Aytar, Ahmet Çabuk, Necmettin Caner, Hakan Dal, Sertaç Eroğlu, Sabahattin Esen, Dursun Eser, Ismail Kiran, Özge Özşen, Ayset Yurt Ece. 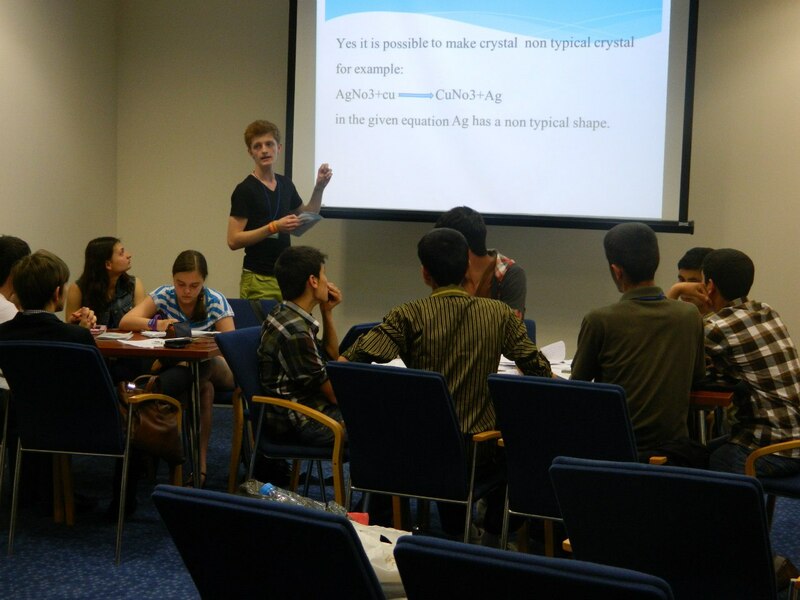 Team leaders in the jury: Louis Delarey Heyns (chair), Jeyhun Jabarov (chair), Mladen Matev (chair), Guram Mikaberidze (chair), Fatih Akay, Buras Boljiev, Natalia Borodina, Igor Evtodiev, Dina Izadi, Diana Kovtunova, Aliaksandr Mamoika, Antoaneta Nikolova, Jevhen Olijnyk, Sergey Sabaev, Siarhei Seniuk, Timothy Timur, Sergey Zelenin. 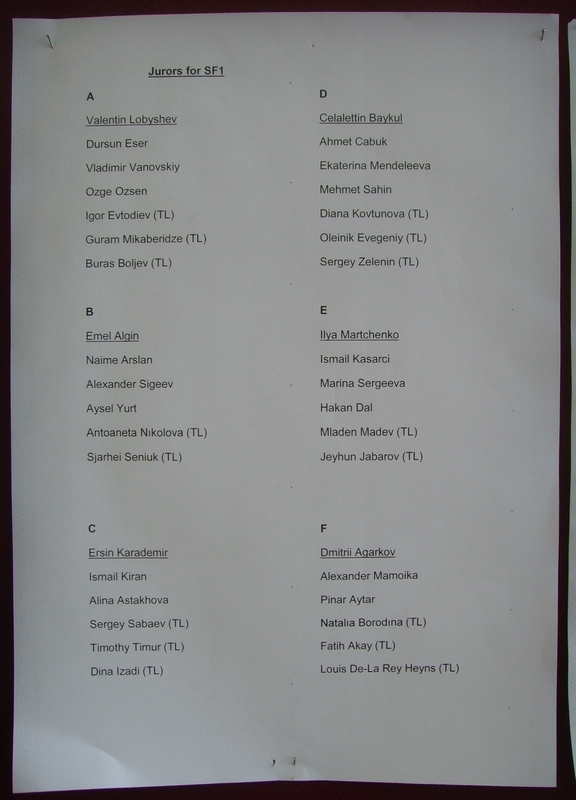 Hosting task force: Evgeny Yunosov, Bahaddin Acat, Tuğrul Hakioğlu, Ventsislav Dimitrov, German Chetin, Ilya Martchenko, Andrey Kravtsov, Dmitriy Agarkov, İsmail Kaşarcı, Natalia Shalaru, Svetlana Chetina, Jevhen Olijnyk, Aliaksandr Mamoika. 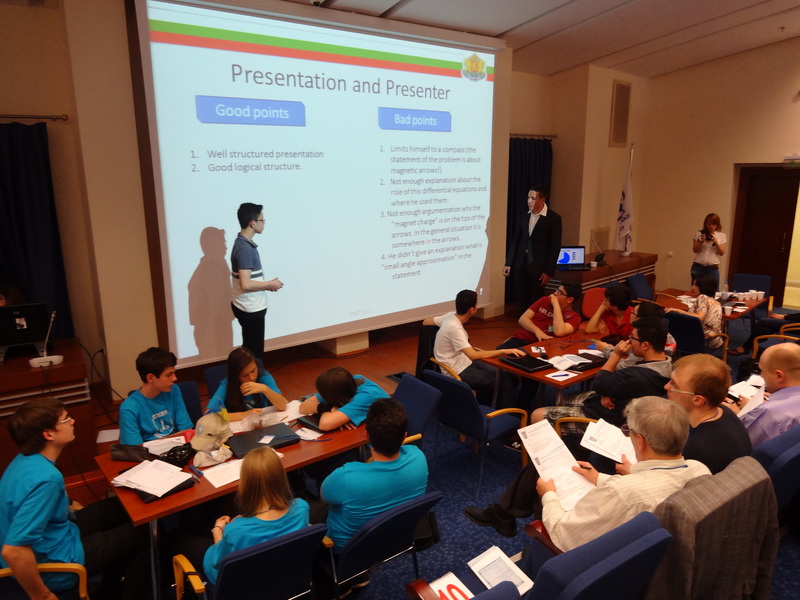 This section brings together the overview of each Science Fight, scanned Juror's Protocols and Science Fight Attendant's protocols, as well as slides presented by the Teams. 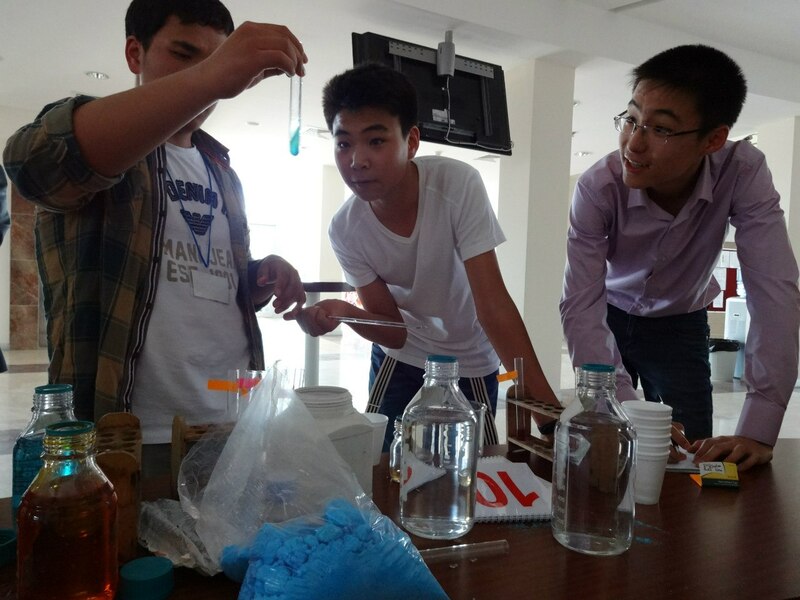 The detailed results and overview of accepted and rejected problems, as well as penalties, is available here. 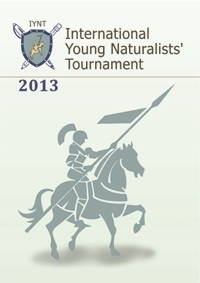 Meet other participants of the 1st IYNT 2013 in our Facebook group. During the SFs, 1422 Grades have been given by 41 Jurors who worked in up to 6 parallel Groups and evaluated a total of 78 Stages. These Jurors were 9 international independent Jurors (an average of 1.5 per Group), 15 local independent Jurors (2.5 per Group), and 17 Team Leader Jurors (2.8 per Group.) 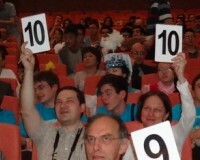 Each Stage was judged by an average of 6.1 Jurors. 11 Jurors rotated as Chairpersons. 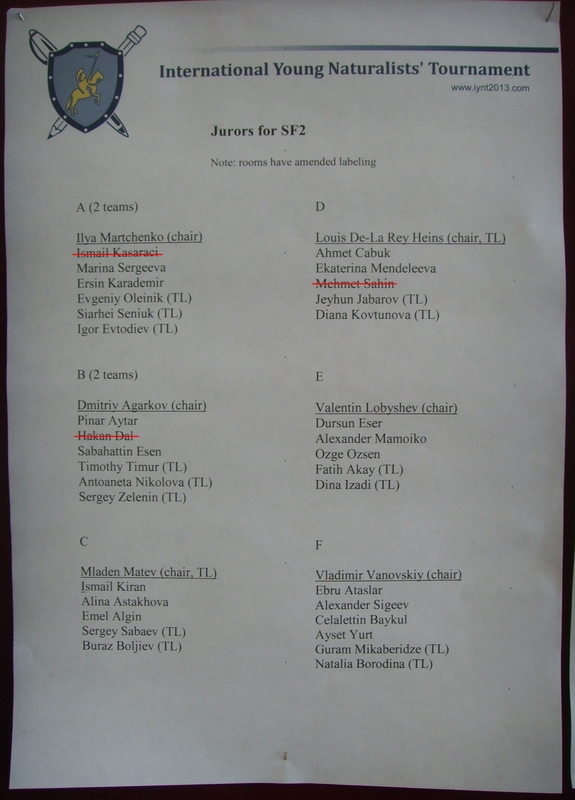 On top of it, 336 Grades have been given at the Opening Ceremony by 21 Jurors and Guests of Honor. Personal name tags were 87×55 mm paper cards of 2 different categories in vinyl holders on blue nylon rope. 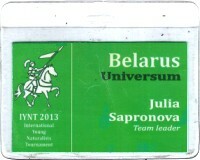 Team Members, Captains, and Leaders had tags with the knight logo and prominent team name. Team Leaders had small inscription team leader below their name. All Jurors and international organizers had tags with the 2013 shield logo and inscriptions Jury or International Organizing Committee, respectively. It was specified Jury Independent and Jury Team leader, such that Team Leader Jurors were provided with two tags, not one. 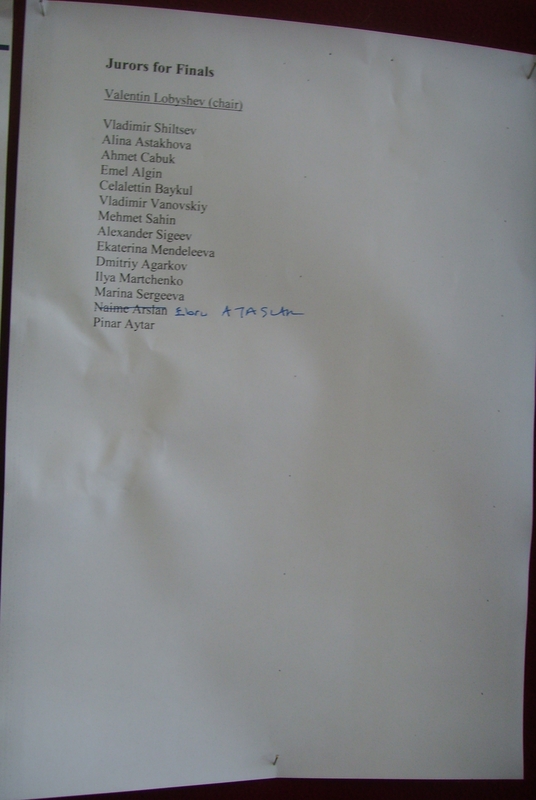 In turn, international organizers had inscriptions International Organizing Committee. Each Juror had two books to hold up a particular score: a 148×208 mm recto-and-verso 10-page book with black numbers 1 through 10, and a similar 3-page book with red numbers 10 through 30.